See top performing Japan stock ETFs 2015. 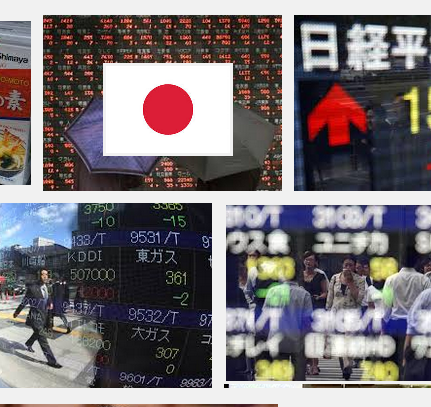 Best exchange traded funds are iShares MSCI Japan Minimum Volatility ETF, WisdomTree Japan Hedged Equity ETF, etc. Japanese stock ETFs are investing mainly in stocks of Japanese companies. Some of these investment funds may invest in certain sector such as health, financial. These ETFs also can invest in small, medium, and large companies. These top Japanese stock ETFs are selected based on its year to date return in 2015. You can find expense ratio fee, portfolio turnover rate, management or index approach, performance, etc. You can find the fund review and comparison below. This iShares MSCI Japan Minimum Volatility ETF invests in Japanese stocks with potentially less risk .The current share price is $57.44. The expense ratio fee is 0.30%. The total net assets are $11.30 million. This iShares fund has a YTD return of 15.66% in 2015. This WisdomTree Japan Hedged Equity ETF has a dividend yield of 1.57%. The total net assets are $17 billion. Its expense fee is 0.48%. The 52 week range of the stock price is $45.43-$58.27. Morningstar has ranked this Japanese ETF with 4 star rating. In 2015, it has a year-to-date return of 14.60%. It has returned 25.30% over the past 3 year, and 10.66% over the past 5 year. Top 5 stocks in its portfolio are Toyota Motor Corp, Mitsubishi UFJ Financial Group Inc, Japan Tobacco Inc, Canon Inc, and Takeda Pharmaceutical Co Ltd. Top 2 sectors are consumer cyclical, and industrials.